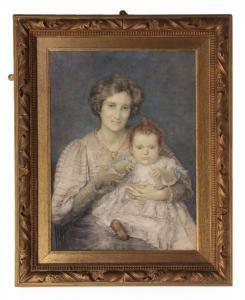 Find artworks, auction results, sale prices and pictures of Anna Alma-Tadema at auctions worldwide. Eton College was founded in 1440 and is one of the oldest schools in the country. The south side of the college is dominated by the perpendicular architecture of the college chapel. Building began in 1441 on the chapel, but the original grandiose design was not completed as Edward IV usurped the throne and cut off most of EtonÂ\\\’s revenues. The present building was intended to be merely the choir of a much larger church. Bishop Waynflete paid for the completion of the Antechapel at the wesern end of the building in 1479. The Chapel is a fine example of fifteenth century Perpendicular Gothic architecture with some of the most remarkable mediaeval wall paintings in Northern Europe. Anna Alma-Tadema was the second eldest daughter of Lawrence Alma-Tadema and his first wife who died when she was only two years old. 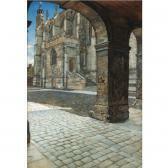 She inherited her father's talent in capturing detail which also reflects the influence of Dutch painting. London, Royal Academy, 1900, no. 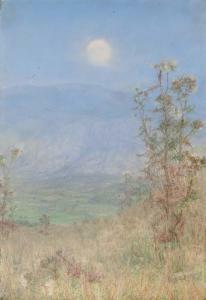 697.
exhibited royal academy, 1886, no. 1280 literature and references art journal, 1886, p. 252; christopher newall, victorian watercolours, 1987, p. 76 catalogue note eton college was founded in 1440 and is one of the oldest schools in the country. the south side of the college is dominated by the perpendicular architecture of the college chapel. building began in 1441 on the chapel, but the original grandiose design was not completed as edward iv usurped the throne and cut off most of eton\\’\\’s revenues. the present building was intended to be merely the choir of a much larger church. bishop waynflete paid for the completion of the antechapel at the wesern end of the building in 1479. the chapel is a fine example of fifteenth century perpendicular gothic architecture with some of the most remarkable mediaeval wall paintings in northern europe. anna alma-tadema was the second eldest daughter of lawrence alma-tadema and his first wife who died when she was only two years old. she inherited her father's talent in capturing detail which also reflects the influence of dutch painting.